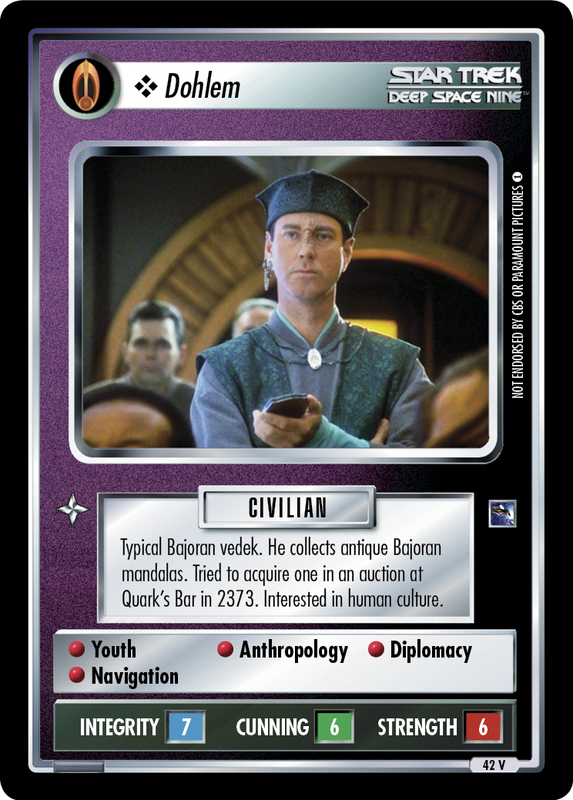 Typical Bajoran vedek. 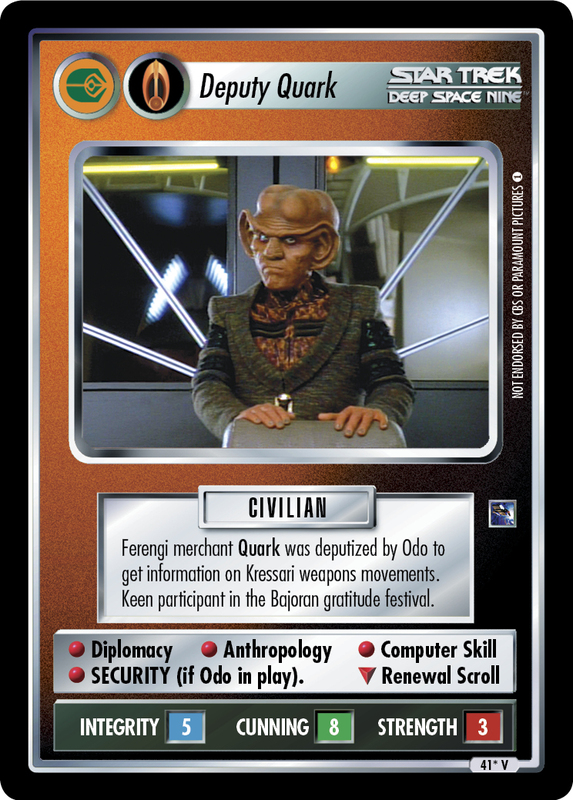 He collects antique Bajoran mandalas. Tried to acquire one in an auction at Quark's Bar in 2373. Interested in human culture.